GRADUATION DAY from the NEW ENGLAND WILDFLOWER SOCIETY! 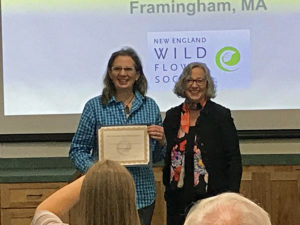 Carol Lundeen graduates from the New England Wildflower Society with an Advanced Certificate in Native Plant Horticulture an Design on November 3, 2018. Executive Director Debbi Edelstein presents Carol with her certificate. 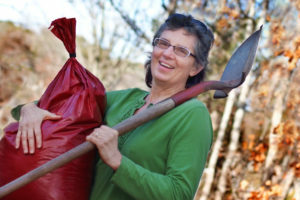 One of my passions is lifelong learning, and another is to help people — and plants — who appreciate sustainable garden design and maintenance. 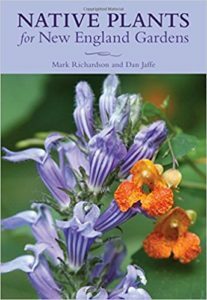 I’m proud to have continued my studies at the New England Wildflower Society and earned an Advanced Certificate in Native Plant Horticulture an Design. Each graduate had the opportunity to make a presentation about the required community service aspect of their certificate. I was proud to share my story of one of the two eyesore sites that I re-designed (and helped to install) at the Easton Town Offices that had been long overdue for a landscape makeover. Easton MA Town Offices traffic circle landscape makeover by the Easton Garden Club. Several civic sites in Easton had become eyesores, and the Easton Garden Club collaborated with the community to sponsor a Design Challenge to spur interest in giving the sites a landscape makeover. Blueview Nurseries of Norton donated prizes. Garden club member and Garden-911 Boston owner Carol Lundeen re-designed this site, and it was installed with the town’s robust support. I’m excited to continue to be a valuable resource in my community. While I currently serve as Horticulture Co-Chair with both the Sharon and Easton, MA garden clubs, I look forward to future opportunities to collaborate, create and educate people about smart, sustainable landscapes. This entry was posted in Community Service, Design, Easton Garden Club, Horticulture, Landscape, New England Wildflower Society, Sharon Garden Club and tagged civic, design, Easton Garden Club, fine, flagpole, gardening, graduation, horticulture, island, landscape, Native, New England Wildflower Society, organic, plants, traffic on November 6, 2018 by admin.